Robin used to do pull ups all day, then when she came to Corey’s Gym she used a band. 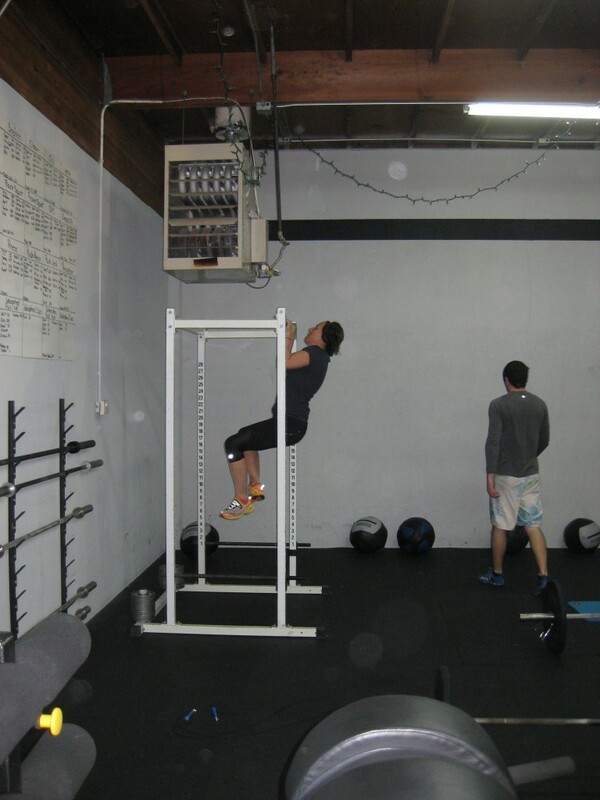 Due to a very full class, she was forced to make the best of the power rack and she did! Her Pull Ups seem to be back.